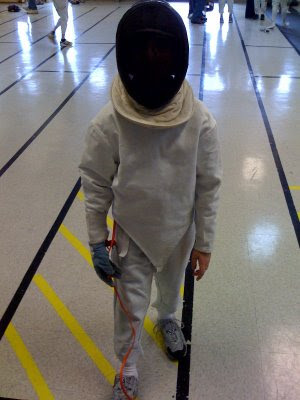 In the Middle: Fencing. Also, Attorneys general. Swinging with a broad sword or battle axe? This is fantastic. Where does Alex take fencing at? Is it offered at school, or is there an independent martial arts-like place that offers the lessons? An epée is skinny, Swain, but not so thin as a foil. Anon: he takes it here via this guy.